clear which really makes all other baking sites pretty redundant!" 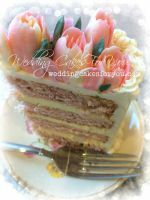 Are you having trouble with your cake icing, meringue buttercream, royal icing or any type of frosting issues? Check out all of the questions below and you will most likely find your answer. Due to the overwhelming number of questions recieved daily, I am unable to answer as quickly or as thoroughly as I would like. Please use the search function or look through the answers below. Most likely your question has been answered already. How do I get buttercream frosting in a true red? Can I cover my entire wedding cake in cream cheese frosting? Can I frost a frozen cake? Do I put icing on the cake before or after refrigerating? 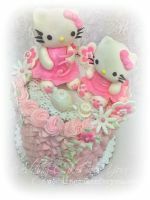 Here is the main directory of frosting recipes where you will find a variety of buttercream recipes along with other non conventional icing and filling ideas. Most of them can double as filling. Please feel free to add your expertise to the icing questions in the comments section at the bottom of each of the Q&A pages. Click on the question that you think you could help with and you will see where to add your tips. Thank You! 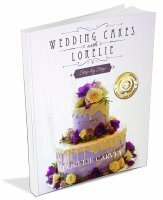 Thanks to all of you, there are now over 1,500 information packed pages with helpful cake decorating tips and wedding cake advice. The best way to find what you are looking for on this website is to use the Search it function. Simply type in what you are looking for in the search box at the top of every page on this website and every relevant page will show up for you. 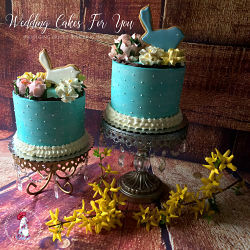 You can also opt to browse through the many Icing Questions already asked and answered above. 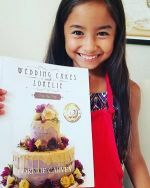 If you have questions about wedding cakes, cake decorating, freezing, baking, delivering or setting up your creations click this link and go to all of the various questions pages. 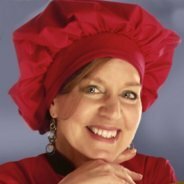 There are literally over 1,000 pages here with answers, tips, advice, recipes and stories about other cake decorators. If you have a story to share about how you got started or any type of inspiration to add for another visitor please do so here. Happy Baking and Cake Decorating!